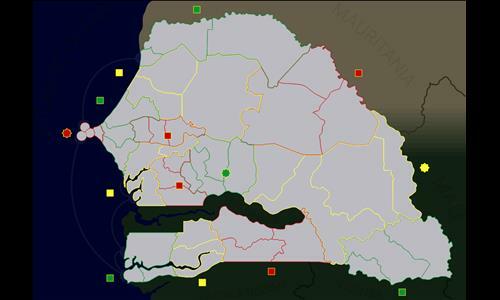 A map of Senegal, appropriately enough. The country's 14 regions are represented by bonuses, and its 45 departments by territories. v1.1 changes: Removed a superfluous connection.